More people – older adults included – own smartphones than ever before. In fact, according to a May 2017 report from the Pew Research Center, 42 percent of adults age 65 and older own a smartphone, a figure that jumps to 59 percent for seniors between the ages of 65 and 69. The proliferation of smartphone usage has led to a natural increase in the number of mobile apps that aim to improve health and wellness, from fitness apps to brain-training apps, diet and nutrition-focused apps, and more. There are ample options suitable for older adults who want to increase their physical activity levels or start monitoring activities and dietary intake to discover how they can make improvements, from exercise videos and equipment that’s well-suited to the needs of seniors to fitness trackers and other wearable tech devices that provide useful data for anyone wanting to improve their health and well-being. Smartphone apps can work with or alongside these tools – or on their own – providing cognitive benefits, access to resources, and other perks for older adults. Here’s a look at a few such apps that are well-suited to the needs of older adults. 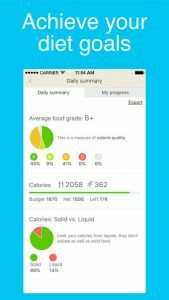 Fooducate provides users an easy way to track what they eat and their activities, offering an average food grade to indicate the calorie quality of the foods they choose and offering an intuitive system to manage dietary intake for those who want to lose, gain, or maintain their weight. 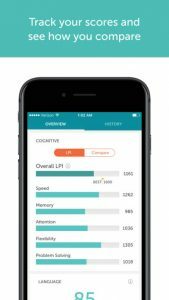 Lumosity users start with a Fit Test to determine their baseline scores and how they compare to other users in the same age group and then begin daily workouts that challenge the five core cognitive abilities. And because the games adapt to the user’s skill level, Lumosity promises to be a continuous, yet fun, challenge. 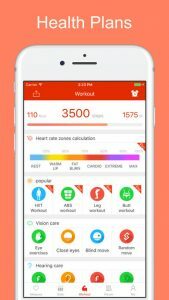 iCare Health Monitor isn’t a single app, but a series of apps that allow users to regularly monitor health stats such as blood pressure, heart rate, and lung capacity. There are even apps to measure blood lipids and blood oxygen, evaluate hearing, vision, color blindness, and psychological index – all with no additional gadgets or tools. Users can track their most important health stats daily, analyze trends over time, and even get access to workouts, games, and interactive training programs. Seniors who have retired may think that sleep doesn’t matter that much anymore, but the amount and quality of sleep has a major impact on health. 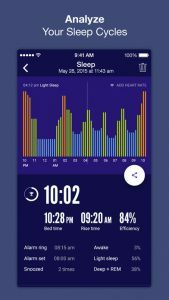 Sleep Time offers soundscapes to help users quickly fall asleep, tracks movements through the night, graphs their sleep cycles, and wakes them up during the lightest sleep phase so that they awake alert, refreshed, and ready to take on the day ahead. 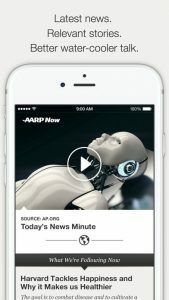 Seniors get the latest news, curated to let older adults stay up-to-date with happenings around the world with ease, sign up for classes, find out about discounts and deals, and more with the AARP Now app. Basically, it’s a more-powerful version of the AARP membership card, plus a whole lot more. 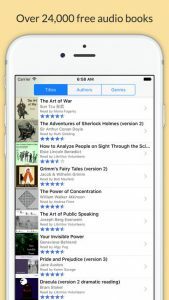 For seniors who enjoy reading but find it challenging or impossible due to vision impairment, LibriVox makes it possible to listen to free public domain audiobooks read by volunteers. Or, those who still love to read the words from the page and are looking for an enjoyable pastime can sign up to be a volunteer reader. As older adults advance in age, they may find themselves juggling multiple specialists, appointments, and medications. 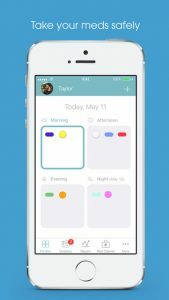 The Medisafe app allows users to organize all their medications and supplements in one place, get reminders on what medications to take when, track their progress over time, and have all their information at their fingertips to share with their healthcare providers. 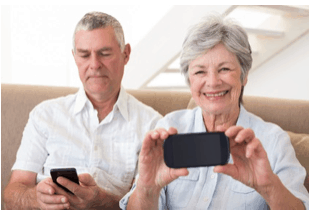 Seniors who are avid smartphone users as well as those who are just learning their way around their first mobile device have a whole world of beneficial apps they can take advantage of to address nearly every aspect of their health and well-being.